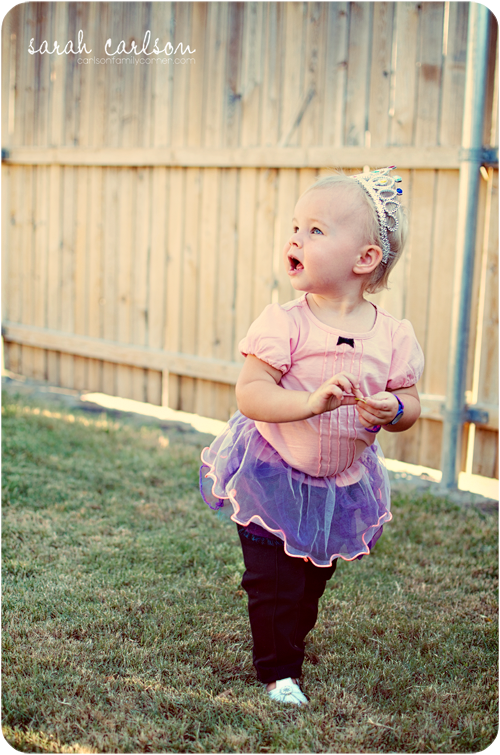 I snagged some dress up clothes from the Target dollar spot, and Kate loves them! The yellow construction hard hat is a fun alternative to the tiara, and paired with the multicolored beads, it makes quite a statement! I'm sure this is not the last "dress up" picture you'll see. It has definitely become a favorite activity.